I’m gonna start eating really healthy food, but then I’m gonna stop again because I really love the way that junk food makes me feel. Said no one ever! If you eat well people always ask you how you managed to eat so well. Actually, before they do that, they try to convince you not to eat well. But if you survive that, they start asking you how you did it. And the answer is that you already know what you’re gonna eat tomorrow, you plan your meals and fill them with healthy foods. But this is not as easy as it might seem, so you’ll need a little bit of extra motivation. 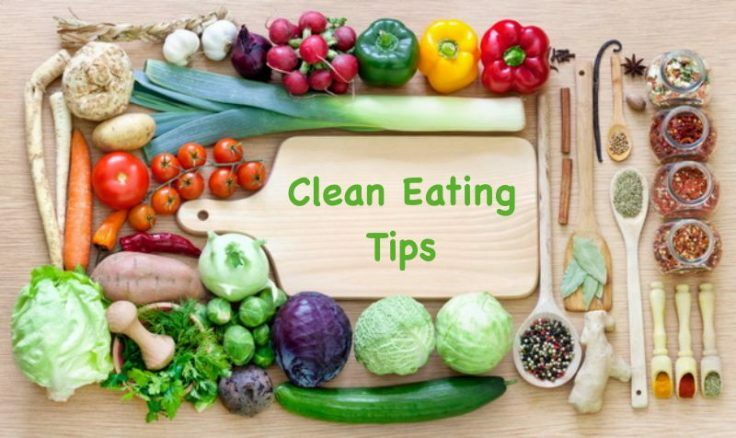 So I want to share with you some clean eating tips that I do and use to stay motivated whenever I’m feeling weak when it comes to eating well. 1. It’s Just A Taste! What happens if you give in? If you give in you have a good taste in your mouth for a second, and then what? Then Nothing! You’ve already had the bad food that you’re craving before, you already know what they taste like, why do you need to have it again? Stop and think about why you want this junk food. Is your stomach really empty? Do you want it because you’re stressed, you’re in a rush or want something to boost your energy and give you a little bit of happiness? Or you’re actually just thirsty and what you need is water? If you decide you still want the treat after this question, then go ahead. Is just about listening to your body properly. Really what we should be concerned with is making sure we have balance and lasting energy. Before you go shopping for groceries make sure you’ve write out a healthy list of what you’re going to buy and stick to it. Tell yourself that if you go into the grocery store and buy only what is on your list without picking up anything that you crave, then when you go out you will have something that you were really working towards and really want it in your life; something like a full time acting role, a new puppy or anything you truly want. Obviously you don’t really get those things when you walk out, but at that point you’ll have your healthy food. If you crave for something sweet or fruity but it’s not time to eat again yet, chew a piece of gum for a little bit. That stuff can do wonders to help you get rid of sweet cravings. When you want a snack, always head to the fridge instead of the cupboard. Most of the time, what you find in cupboards is processed food because it doesn’t need to be kept cold. Plan when you’re going to have your treats. Surround yourself with healthy blogs which have fun recipes that you can try. We are developing a new recipes section for our FitneAss App, so check that out in a few weeks. Also Instagram is a great source of inspiration when it comes to recipes and motivation. Think of how your food would look once it’s all blend it up and if it would still have any sort of a appeal. For example, picture a McDonald’s Big Mac burger all blend it up with the bread all saggy and red from the tomato sauce, the meat taking over the smell of the whole thing, and that stringy cheese still in one piece even after the blades hit it like 100 times. And now picture a salad with veggies and chicken breast. That visual of how it will look when it’s all blend it up or when it’s digested in your stomach will makes your choice pretty easy. Remind yourself that part of the body that one day you want to be able to look at and love. You know, the part of your body that you’re trying to tone up or sculpt. If you really lack of motivation, walk around your house wearing just your underwear. That way when you eat something that you shouldn’t, you can really see what has irritated you or made you bored and it makes you never wanna do it again. I hope that this article helped a few of you to gain some extra clean eating tips and some extra self control for a healthier lifestyle. stay fit! Great article. Really simplifies things.